Preparing for disasters is just as important for business as individuals, as many families’ livelihoods can depend on a business keeping its doors open. Business continuity planning often focuses on IT and data preservation for good reason, but think through all aspects with some of the many resources available online and through emergency management offices in your state. Every business should go through planning steps to be prepared. Investing effort into a preparedness program can save time and money in the long run. But once a plan is in place, don’t forget to test it. Testing identifies crucial gaps in planning as well as determining what just doesn’t work. Because – let’s face it – it’s easier to fix problems and make improvements without a hurricane bearing down on you. Does everyone have everyone else’s contact information? What if people can’t get to the office? Can people work from home in certain instances? Are certain people responsible for securing equipment or doing particular tasks? Do they know it’s their responsibility? Have you done a site search on things that could damage your business or infrastructure (e.g. are tree branches away from the roof and power lines)? Are there supplies available to board up windows or keep water from breaching the structure(s)? 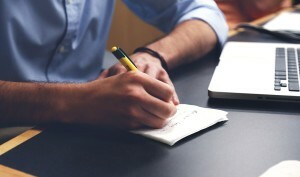 Does it make sense to have agreements in place with other companies in order to help your business out if assistance is needed? 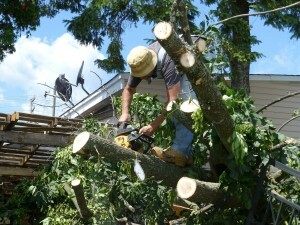 Power companies come to one another’s aid when damage is extensive. Do you have companies you would rely on to help you get back on your feet? While some environmental planning requirements may touch on natural hazards (e.g. SPCC), best practices can go beyond legal requirements. For instance, EPA has begun to provide guidance on considering climate change in remedial design. The New Jersey Department of Environmental Protection – Site Remediation Program will shortly be releasing a new guidance document titled Planning for and Response to Catastrophic Events at Contaminated Sites. 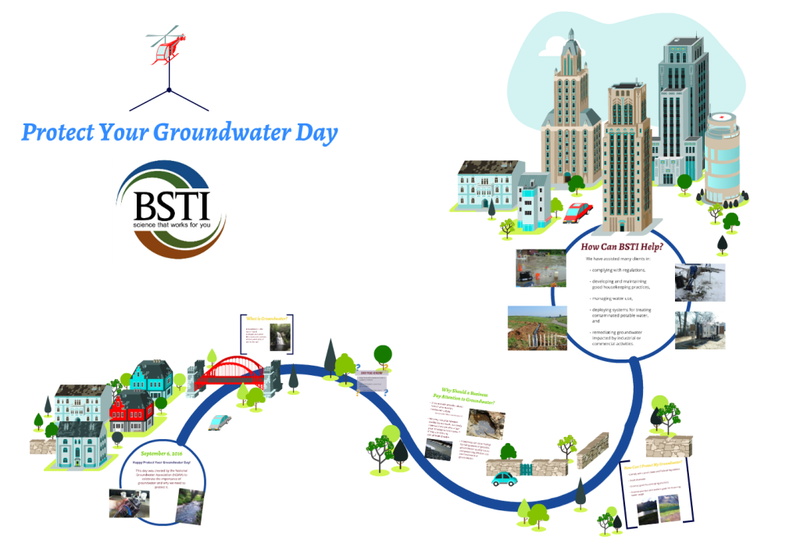 This guidance (which includes content written and developed by Brownfield Science and Technology’s Nicholas Santella) discusses planning to increase the resilience of operations at remediation sites in the face of catastrophic events. Finally, businesses should encourage their employees to make a plan. Employees should plan on having items that address their specific needs, such as medications or other personal requirements. Going through the process of planning helps people to decide what they need to have with them if they are required to evacuate, as well as if they needed to shelter-in-place. Planning also serves a dual purpose when employees discuss with their families what supplies are needed at home and what needs to be taken to work to prepare for being cut-off from daily services. Rochelle Brittingham PhD, MPA is an expert in emergency management with a focus on planning for the needs of people with disabilities or access and functional needs during disasters. She has over 10 years of experience in social work, grant writing and community outreach. Currently, she is employed at the University of Delaware Center for Disabilities Studies. She is also a Delaware Community Emergency Response Team instructor. Take simple steps to keep you alerted. Staying aware of developing weather is critical to taking timely action for the safety of personnel and property. Tracking weather may not be high on your list of priorities during a busy workday, so take the time now to make sure that information will come to you when you need it. Get emergency alerts sent directly to your phone. 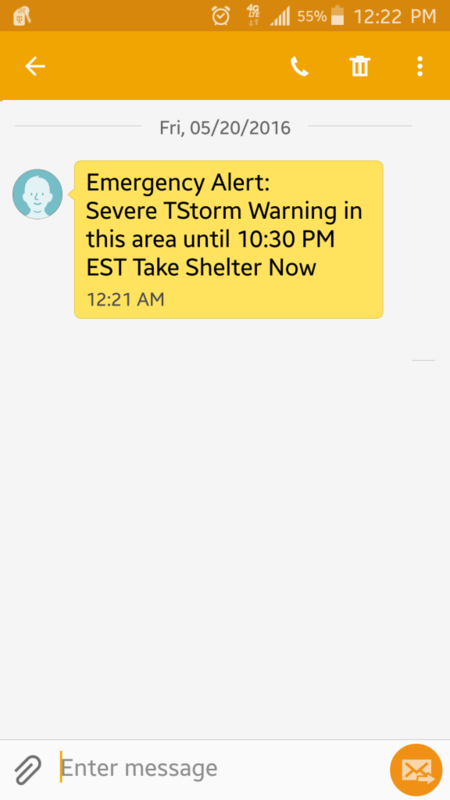 Be sure to activate emergency alerts if available on your phone. Every phone is different, so there isn’t one simple way to turn on alerts. Refer to the phone’s user manual or use the internet to search how to allow emergency alerts to be sent to your phone. Consider getting a NOAA radio and programming it to receive alarms for your county. Sign up for text and email alerts. Bookmark the links most relevant to you so you can find them easily the next time bad weather threatens. NOAA mentions the importance of strengthening your home if you plan to ride out a storm, but a business owner needs to remember to prepare a second abode for bad weather: the workplace. It’s important to make sure your building is strong enough to hold up against a natural disaster. Vulnerable businesses and other sites can be retrofitted to be less vulnerable to hurricane damage in similar ways to homes. An important and relatively inexpensive measure is to elevate critical equipment such as utilities or IT infrastructure above projected flood levels. In highly vulnerable or especially critical structures, installation of flood barriers may be a good investment now to save you in the future. One hazard often unrecognized in both homes and businesses is the threat from hazardous or flammable materials stored in areas that could flood, most commonly stored heating fuel. 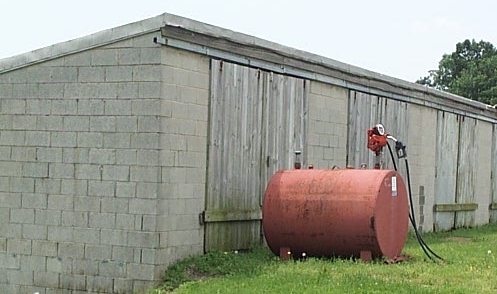 Above-ground storage tanks (ASTs), propane tanks of all sizes and other small-scale chemical stores are often lost in flooding events. Even underground storage tanks (USTs) can be vulnerable to buoyancy induced damage or water infiltration during flood events. However, if planned for ahead of time, it is possible to anchor tanks and other storage vessels with cables or tie downs and move small vessels to secure storage areas so they don’t float away. Photo courtesy of R. Brittingham and the Disaster Research Center (University of Delaware). Fire damaged blocked assess after Hurricane Sandy in the Far Rockaways. Every business needs to be stocked and ready. It is important to have disaster supplies available year-round. The days leading up to hurricane landfall allow for businesses, as well as employees, to finish obtaining supplies and getting items that may be more specific to certain needs (as discussed in FEMA’s Emergency Preparedness documents), but waiting until last minute may be too late. There is no telling how long regular services will be disrupted and what sort of damage an area may experience. Being caught unaware or unprepared can cost a company time and money. Photo courtesy of R. Brittingham and the Disaster Research Center (University of Delaware). Disrupted infrastructure in the Far Rockaways after Hurricane Sandy. Test your emergency equipment before it is needed. Businesses that have ride out crews – crews that remain to ensure critical infrastructure continues functioning during a hurricane at such businesses as refineries, chemical plants, etc. – may be more likely to ensure disaster supplies are on hand year-round for unexpected disaster events. Critical infrastructure and services that should not go down during disasters, such as powering flood control measures, rely on redundant systems and back-ups. Generators become crucial to keeping important electrical functions running during power outages (as experienced during the power outages caused by Hurricane Sandy) and should be tested ahead of time for days, not just a few hours. Murphy’s law says a generator isn’t going to fail during the first few hours; if it fails, it’s going to fail on day two of a four-day event without power. Be prepared for a company sleepover. For other businesses that find they may not usually need to have crews available to oversee infrastructure, businesses should still evaluate whether they are prepared to have employees shelter-in-place at the work location. There needs to be enough supplies on hand for everyone, and business owners need to be able to communicate with their employees. A company may unexpectedly face the possibility that employees are unable to get home safely due to flooding or find employees are unable to travel back and forth to work due to impassable roads. In cases like that, having supplies on hand is critical to remaining operational. Profit, growth and stability are common businesses goals at risk when a natural disaster can demolish what may have taken generations to build. Many successful businesses transfer this risk through an insurance policy. The policy is a contract that should be periodically reviewed to help assure the needs of a business are covered. One of the perils from a hurricane is flood. The standard insurance property policy does not generally cover damage from the rising waters of a flood. A policy to cover this gap in coverage is available where floodplain management regulations apply through the National Flood Insurance Program (NFIP), administered by the Federal Emergency Management Agency. These policies are purchased from a licensed property insurance agent or broker authorized to issue the coverage. Basic building flood insurance coverage goes up to $500,000 to repair or replace the insured building and its foundation, and other equipment such as electrical and plumbing systems, central air conditioning, furnaces and water heaters. The building contents such as tools, machinery and equipment will need to be covered with a separate flood policy. Higher limits of insurance might be available with an excess flood policy purchased outside of the NFIP policy. Discuss with your agent about the coverage types and limits of coverage needed. Business owners and residents who own property in high-risk areas are required to purchase flood insurance if they have a mortgage from a federally regulated or insured lender. A policy could be purchased for just about any location, even for those outside of a flood zone. Locations less vulnerable to flooding are often eligible to purchase a policy at a much lower price. Waiting until the last minute to purchase flood insurance is too late. There is a thirty-day waiting period, so you can’t purchase flood insurance just before the big storm and then cancel after the storm passes. Other hurricane damages to property can result from high winds, wind-driven rain, hail and lightning which is usually covered under the standard property policy. However, many insurers have applied exclusions in some areas, so this also should be discussed with your agent. 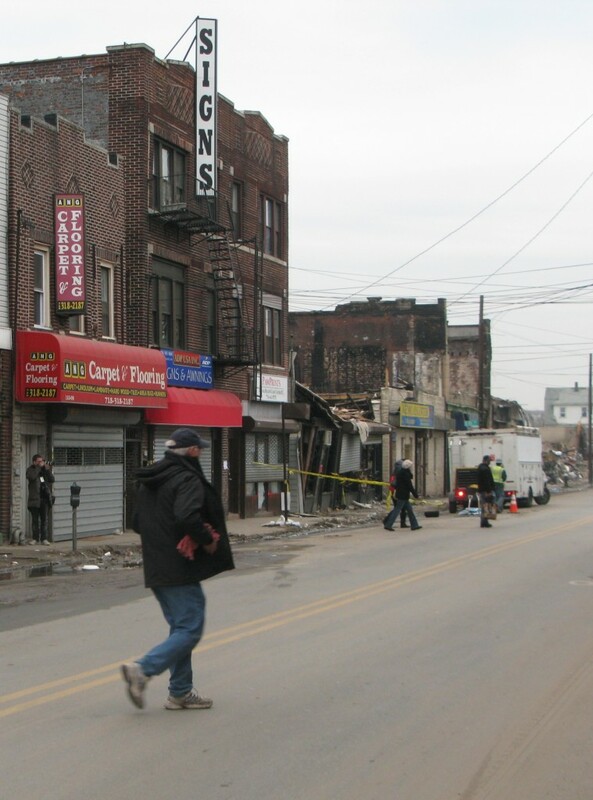 Many businesses never reopen following a major disaster. There is no revenue generated, but the bills keep coming. Employees may be unavailable to work when families are hurt or homes are destroyed. A damaged piece of machinery could be hard to replace and reduce productivity. Insurance is available to cover the loss of income from business interruption, however, this is usually not covered when the loss is caused by a flood. On the other hand, there might be coverage if the terms in the policy will pay when civil authorities order an evacuation. Read your policy and ask questions. What flood zone is the business in? What will and won’t be covered in case of flood damage? How is the property valued: according to replacement cost or a depreciated actual cash value? How is underground property like basements, vaults and tanks covered? If needing to rebuild, is building ordinance coverage provided to upgrade to building code? How are extra expenses covered? Is there a coinsurance penalty? Are contents coverage limits adequate? How is the company’s income from operations that rely on another entity covered? Dennis Hollatz has over 30 years of insurance industry experience. He is currently a staff consultant for field services and risk management of commercial business insurance exposures at Federated Insurance. Plan out where everyone and everything must go. Historically, industry has been concentrated along or near waterways. As a result, many businesses handling hazardous materials as well as many brownfield sites are vulnerable to flooding. With hurricane season just around the corner, those with businesses or homes in flood and storm surge prone areas need to be very aware of their risks. Everyone must have a plan to evacuate safely when instructed to do so. Safety of employees and others is a high priority, but a business owner may also benefit from planning a way to safely evacuate equipment or supplies from risky areas ahead of time. Telling people to safely head home is one thing, but getting heavy equipment relocated can be much more difficult. Planning the transportation of equipment and deciding where it will be securely stored is best determined well in advance. Five hours to landfall is not the time to decide how and where to move that expensive trailer. Think about your evacuation needs now and plan accordingly to save time, money and your business from more damage than need occur. Every business should be prepared. As NOAA notes, hurricanes are not just a coastal hazard; inland flooding is a serious issue that can cause severe damage and is known to be the most common cause of hurricane-related deaths. Hurricanes, flooding, strong winds and resulting power outages can reach far inland and hit businesses that may not have anticipated being affected by the storm. For example, businesses have reported an increasing number of hazardous material and petroleum releases caused by hurricanes; about 3% of these occur in inland states with many more in inland areas of coastal states. FEMA flood maps are still the go-to source of flood hazard information. 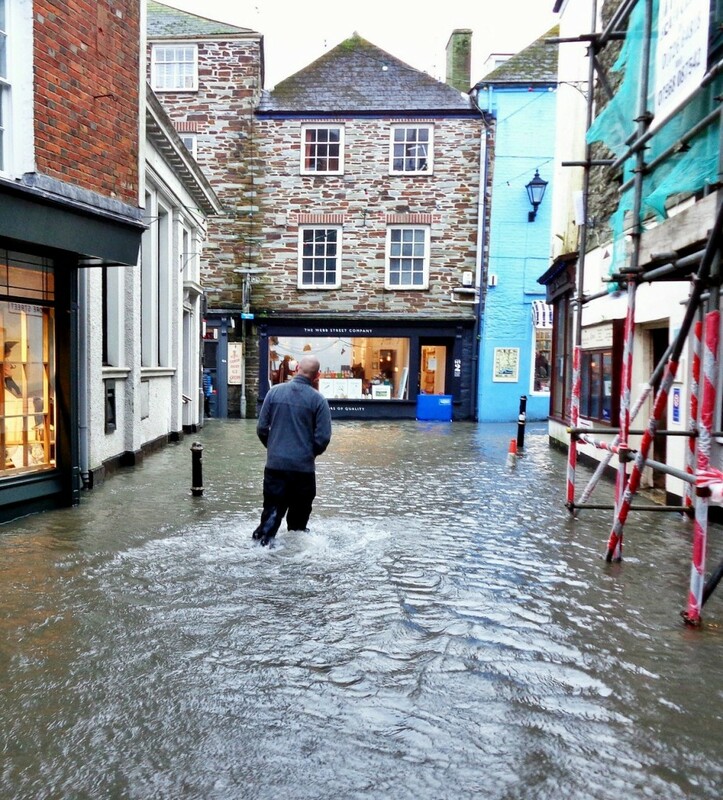 Plug in the address of your business, home or project site to get a good idea of historic flood risk. NOAA provides interactive maps of potential storm surge nationwide, this information is used for evacuation planning. Climate Centrals Surging Seas: Risk Zone Map provides easy to use visualizations of sea level and flood inundation and their impacts. On a more local level, there have been a number of efforts to create easy-to-use tools for evaluating flood hazards in the Northeast. There are mapping tools for New Jersey and Maryland that include data on flood, sea level rise and storm surge information as well as data on sea level rise in Delaware. For those with additional data needs, the NOAA Digital Coast Website has a host of preparedness resources and the North Atlantic Coastal Comprehensive Study has evaluated the combined risk from hurricanes and sea level rise. With so many resources available, the real danger for a causal user is getting overwhelmed and not using any of them. We encourage you to get on one of these easy-to-use websites now and get to know the potential natural hazard risks of your business or other places of interest.